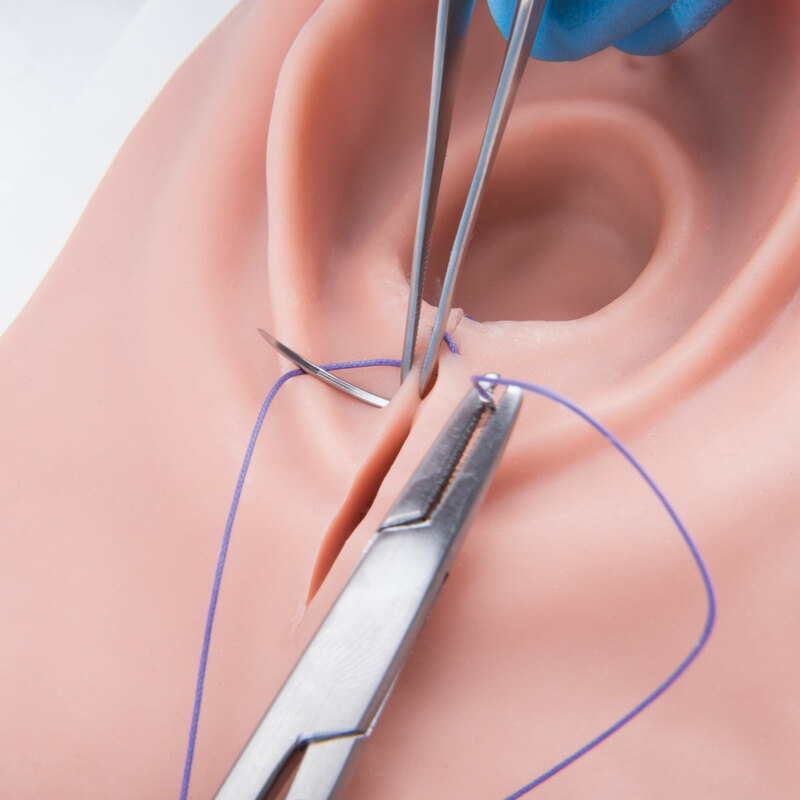 Each cut can be sutured several times; by repeating the procedure, the midwifery and obstetrics students learn about professional wound management. 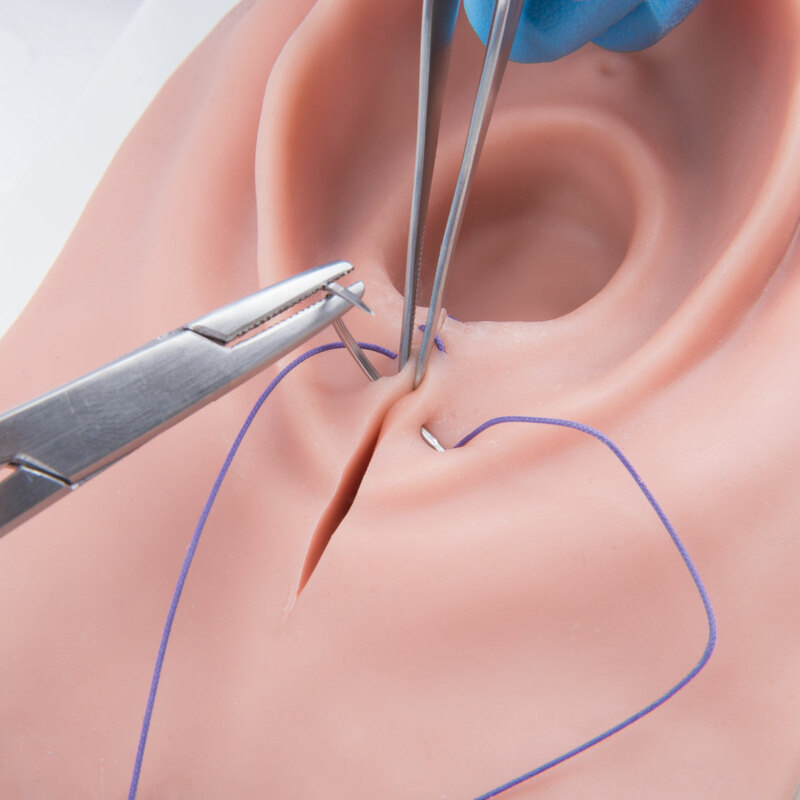 The suture technique can be recorded and assessed by the trainers so that students can improve, after which the students can practice again once the sutures have been removed. 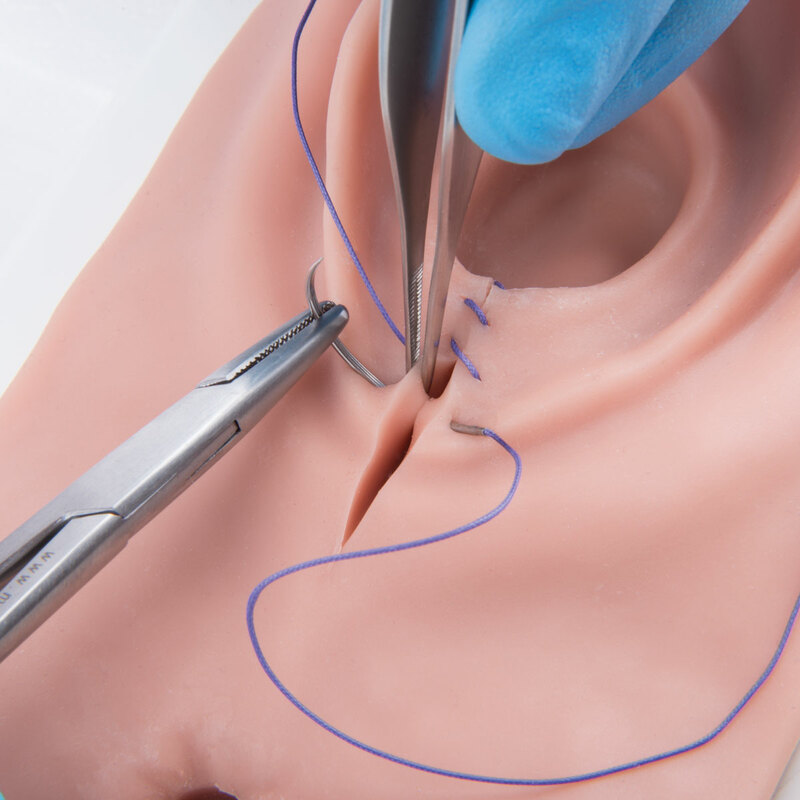 The material used for the simulation of the tissue feels realistic, and it is easy to keep clean. The complete trainer does not take up much room when stowed away. The adjustable holder for the simulated tissue stands firmly on the table without slipping. The insert can be taken out of the holder and then worked on while it is lying on the table. This value-for-money tissue insert can be bought individually or in packs of 5 in our shop.